The popularity of alternative risk premia (ARP) is growing and strategies that focus on ARP are increasingly being incorporated into portfolios. The attraction of this approach is that ARP can mimic strategies that have historically only been available through hedge fund vehicles, but with more favourable liquidity and cost characteristics, whilst retaining a low correlation to traditional equities and bonds. 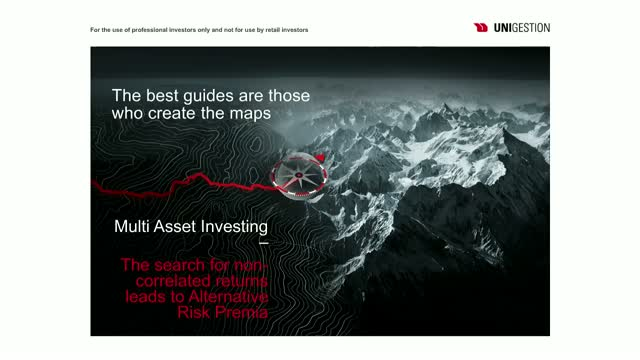 * What benefits do alternative risk premia (ARP) bring to a multi-asset portfolio? * How can investors construct a portfolio that is diversified to weather key macroeconomic regimes? * How can dynamic allocation in the alternative risk premia universe be used to manage downside risk? Joining this webinar will help you to understand how alternative risk premia strategies can help provide diversification benefits to your multi-asset portfolios as well as providing you with the knowledge to better understand how to differentiate between the various risk premia strategies available and to select the ones most appropriate for your needs.